ndoors or out these foam discs are perfect! 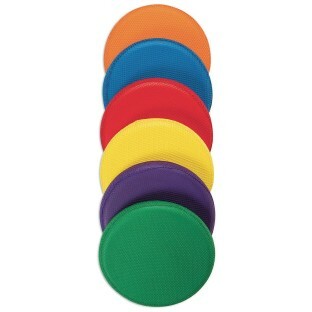 Vibrant colors make these wonderful soft, safe foam discs even more fun to play with. 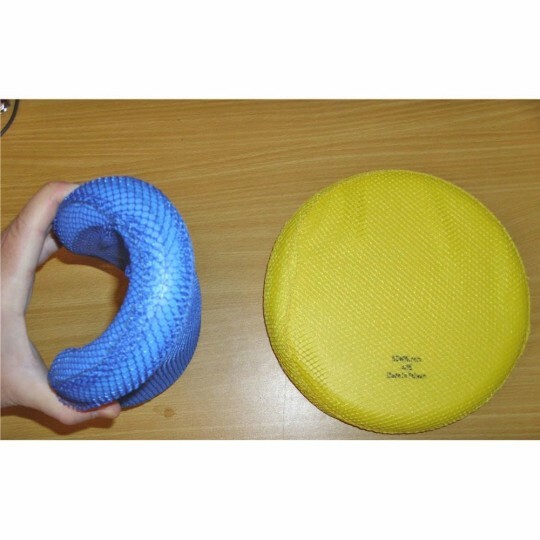 Indoors or out these foam discs are perfect! Set of 6 vibrant colors: red, yellow, blue, green, orange and purple. Size: 9". Durable and safe the mesh fabric over the foam makes for a great grip. Love these! This is a great product that is durable and safe when teaching children how to catch and throw Frisbees. I have used a variety of Frisbees and have been happy with this product. I bring these with me when I teach nutrition education classes to children and adults. I simply offer the use of them at break time. They encourage Physical activity on their own! They are fun anyone can use them and they illustrate how PA can be more fun than a chore.